“The brain is useless. We must find another brain.” —Dr. 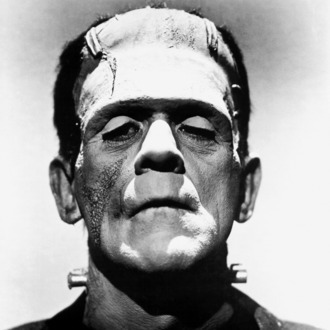 Henry Frankenstein, in the 1931 Universal film. Every once in a while, Hollywood’s pathological fear of innovation collides head-on with its neurotic need for imitation, often resulting in a bizarre, modern-day Frankenstein’s monster of a hybrid. And so it is with today’s news. We hear exclusively that Radio Silence, the directing quartet behind this year’s found-footage Sundance horror flick V/H/S — ironically, picked up for distribution on VOD by Magnolia Pictures for a million bucks — is in negotiations with Lionsgate to direct The Reawakening, another found-footage horror script, this one from screenwriter Luke Dawson (Shutter) that’s equal parts Flatliners and Frankenstein. This didn’t happen by accident. We are, of course, in the midst of a massive Frankenstein moment in Hollywood. Stuart Beattie’s I, Frankenstein is set in the present day and seems equal parts Frankenstein and Underworld, with the monster caught between warring factions of gargoyles and demons. Simultaneously, Fox is developing its own Frankenstein with Neighborhood Watch producer Shawn Levy, as is Columbia Pictures, which has put David Fincher on the reanimation tale being produced by The Amazing Spider-Man producer Matt Tolmach. And Universal is not only developing a Frankenstein with Battleship producer Scott Stuber and Pan’s Labyrinth director Guillermo del Toro, but also a Bride of Frankenstein with Limitless director Neil Burger. Also still in the midst of a moment are found-footage films. In the last few months, we’ve seen a glut of ultra-low-cost movies ranging from the execrable The Devil Inside (January) to the exceptional Chronicle (February) to the merely inebriated, like Project X (March), and all of them did insanely well at the box office: The Devil Inside cost Lionsgate $1 million to acquire and made $100 million worldwide. Fox’s Chronicle and Warner Bros.’ Project X both cost just $12 million to make, and grossed over $123 million worldwide and just shy of $80 million worldwide, respectively. Thus, a found-footage, modern-day, Frankenstein-esque film wasn’t merely likely; it was inevitable.